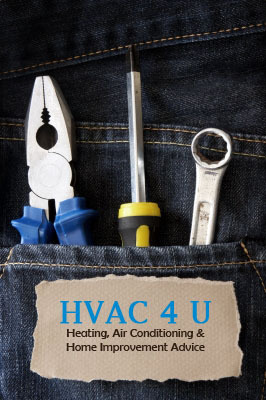 The thermostat is in control of one of the most important systems within the home: the HVAC system. This system dictates your comfort level and allows you to choose the temperature that you find most comfortable. However, there is a setting on the thermostat that can disrupt this comfort if it is not set appropriately. The temperature differential can give the thermostat a few degrees leeway before turning your HVAC system on or off. This could allow your homes temperature to fluctuate drastically all while the thermostat continues to read the original set temperature. Let’s say that you are most comfortable at 70 degrees during the winter season. You set the thermostat and go about your day. Every time the furnace comes on the house gets to feel uncomfortably warm. In between cycles when the furnace is off, the home becomes uncomfortably cold. The temperature differential is probably set at three degrees. That means that the temperature can get as warm as 73 degrees and as cold as 67 degrees before the thermostat responds to the temperature. This is what is causing your discomfort. Check with your thermostat manual for instructions to change the differential and set it back to one degree. This will give you the temperature you desire and eliminate this source of discomfort. You come home from work one day to find that the furnace is out. Having never experienced a breakdown before, you aren’t sure who to call. You may flip through the telephone book but everyone you come across will claim to offer “the best service” at the “best prices.” This isn’t a reliable way to choose a contractor, so many people turn to a trusted friend or family member for advice. They recommend someone they have used before and because you trust them, you decide to trust that company. The only problem is that your friend or relative is only one person that has had experience with that company. Sure their job may have gone well, but is that really a good indicator of the company’s track record? Maybe not. Consumer Review Websites: What You Need to Know! The return of cool weather signals the beginning of a new season. As the leaves change and the nights become cooler, we all turn our thermostats from “cool” to “heat.” Doing this should be a reminder to all of us that it is time to change the air filters in our furnaces. There are many different styles and efficiency ratings on filters. They all need to be changed periodically. In general, the higher efficiency filters should be changed each time we change the operation of our furnaces and air conditioners. This is usually done during the spring and fall. On the other hand, the lesser efficient filters should be changed every 30 days. More Important than You May Think!